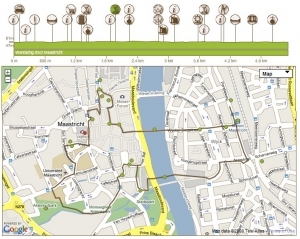 Just found this fantastic route-planning website for bikers and hikers. 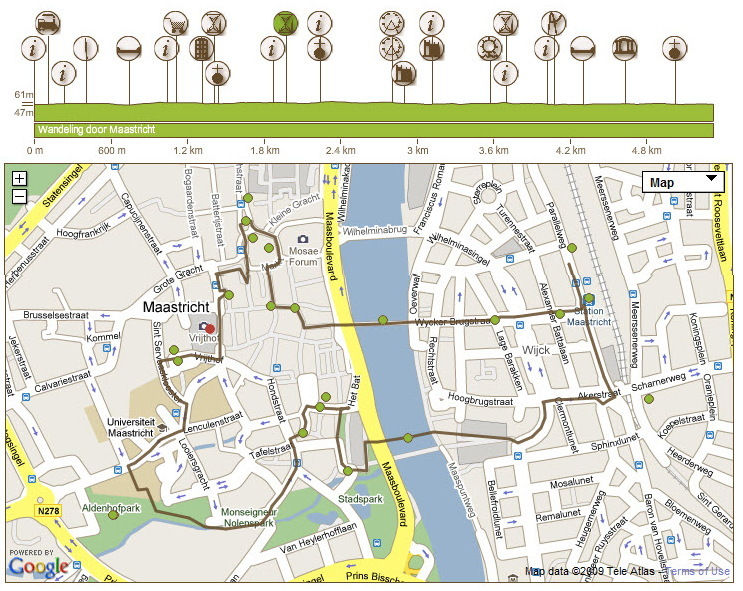 I found a nice map of Maastricht which will give me some ammunition for touring around with visiting friends. Judging by the content, it has been around for a while (since 2005) but appears to be gaining momentum. It seems like a very nice interface, and the company also re-sells the web-components so people can customize routing on their own websites. They also do hard-core GIS processing, creating route-networks for GPS systems. RouteYou is a Belgian company, and they seem to be just expanding into global markets. So far they show over 80,000 public routes in Europe, but only a few hundred in the States, and a handful in Australia. This business may be fun to watch.